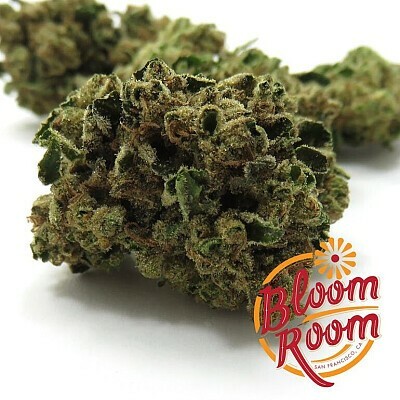 [Durban F1 X OG Kush X Cherry Pie Kush] This hybrid has become one of the most highly sought out strains to the modern cannabis connoisseur and our Girl Scout Cookies delivers that sensational effect promised by this highly interesting genetic combination. Hitting first with a taste reminiscent of the fruity flavors of Durban and Cherry Pie; a canna-fruit salad and with a look mixing the classic light green Durban and purple flowering buds of Cherry Pie all with a deep OG musky undertone. While aroma given by each nug holds almost spicy with the combinations of wood and mint. Effects begin in the back of the head with a Durban shot to the brain and slowly trickle down with the help of the OG to settle deep in the body with the CBD high strain Cherry Pie Kush. The holy trinity of genetics and one of the most novel hybrids since Blue Dream hit the scene.